The white stuff is insulation. And the wooden batten is attached to a metal batten just in the wrong place. 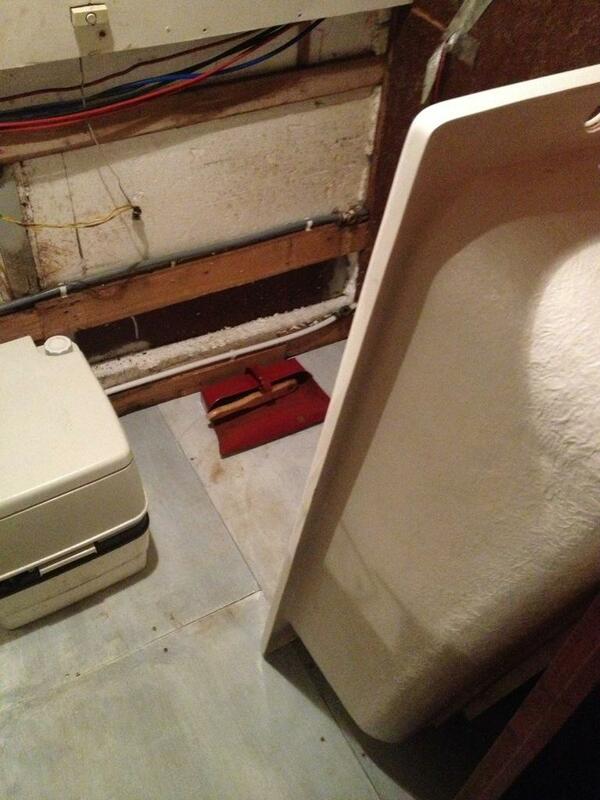 We need to drop the bath by about half an inch, we are removing the floor board. I have written at length about these crazy people before.